On July 13, CMS put forth significant PROPOSED rule changes that would affect skilled nursing facilities. o More extensive Infection Control Requirements that would require a designated Infection Prevention and Control Officer with training in infection prevention and control beyond their initial license. o Facility must include on their interdisciplinary team a qualified mental health professional in the care planning process for residence diagnosed with mental health conditions or prescribed psychotropic drugs. o Center may not use on any basis any person (employee, contract, or agency) that does not meet competency requirements. The executive summary of the propsed changes states, “These proposals are also an integral part of our efforts to achieve broad-based improvements both in the quality of health care furnished through federal programs, and in patient safety, while at the same time reducing procedural burdens on providers.” Nowhere in the 403 page document are their proposed changes that would reduce burdens on providers. 2. Please get as many people to submit individual comments DIRECTLY to CMS by Sept. 14, 2015. Below are the instructions from the CMS memo. In commenting, please refer to file code CMS-3260-P. Because of staff and resource limitations, we cannot accept comments by facsimile (FAX) transmission. A. Electronically. You may submit electronic comments on this regulation to http://www.regulations.gov. Follow the “Submit a comment” instructions. B. By regular mail. You may mail written comments to the following address ONLY: Centers for Medicare & Medicaid Services, Department of Health and Human Services, Attention: CMS-3260-P, P.O. Box 8010, Baltimore, MD 21244. Please allow sufficient time for mailed comments to be received before the close of the comment period. C. By express or overnight mail. You may send written comments to the following address ONLY: Centers for Medicare & Medicaid Services, Department of Health and Human Services, Attention: CMS-3260-P, Mail Stop C4-26-05, 7500 Security Boulevard, Baltimore, MD 21244-1850. 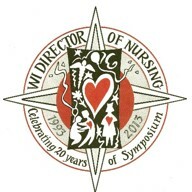 Because the significance of the proposed changes the WI Director of Nursing Council plans to provide comment directly to CMS, other associations, and any other stakeholder that will hear our plea.